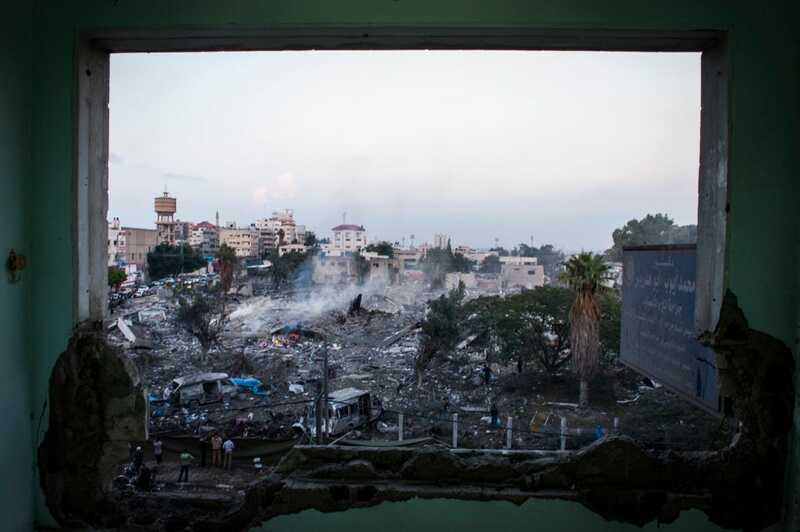 Photojournalist Monique Jaques first visited the Gaza Strip in 2012 to document Operation Pillar of Defence – one of many conflagrations between Israel and the military wing of Hamas. While there, Jaques was struck by the story the media wasn’t telling – that of the everyday lives of Palestinians living in Gaza. Photojournalist Monique Jaques first visited the Gaza Strip to document Operation Pillar of Defence in 2012, one of the many conflagrations between Israel and Hamas, which controls Gaza. Over the course of five years, Jaques returned again and again to speak with Palestinian women in Gaza and document their lives. Her commitment to telling their story allowed her to capture “stolen moments” and show a side of life in the territory rarely seen. 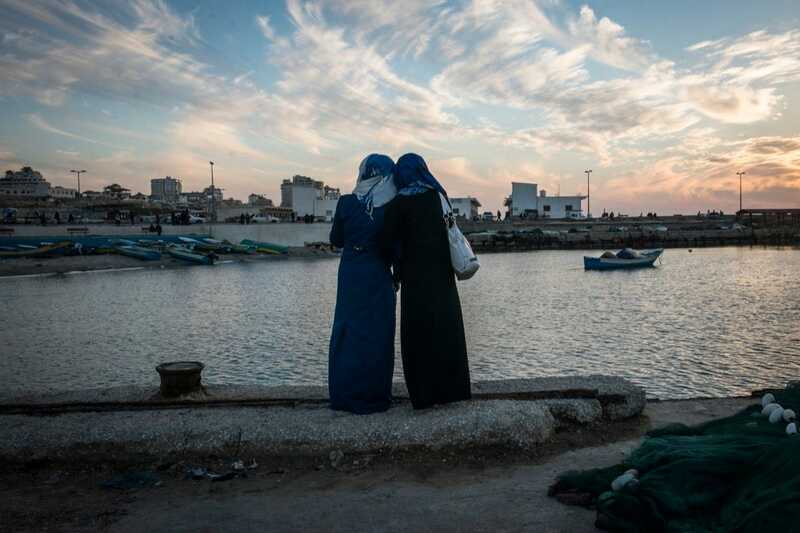 Courtesy of Monique JacquesGirls watch the sunset at the harbour in Gaza City. 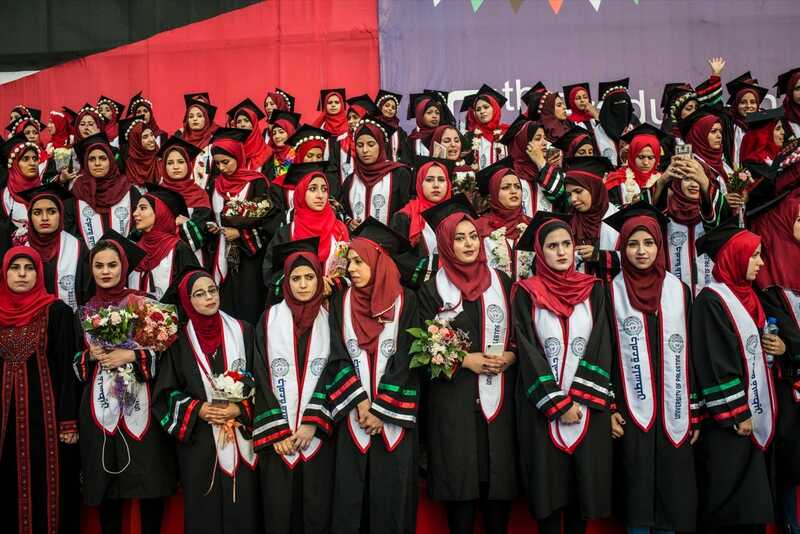 While living in Gaza is undeniably tough, being a woman there is harder. Though photographing women was difficult due to Gaza’s conservative culture, Jaques said that she was aided by a network of Palestinian women who understood the importance of telling the human-side of Gaza. Those women helped Jaques build relationships that lasted years. Courtesy of Monique JacquesThe 2017 class of Palestine University. Jaques said it helped that she wasn’t on assignment. She was able to spend as much time as she needed to build relationships and gain trust. Jaques ended up spending five years visiting Gaza, returning for weeks at a time every few months. 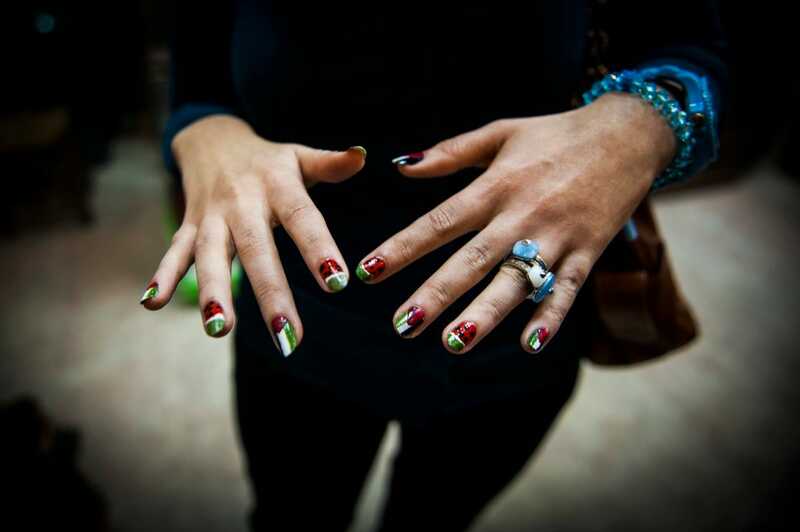 Courtesy of Monique JacquesA girl shows off her Palestinian themed nails after a recent bombing campaign. Jaques has spent much of her career photographing conflicts in the Middle East. 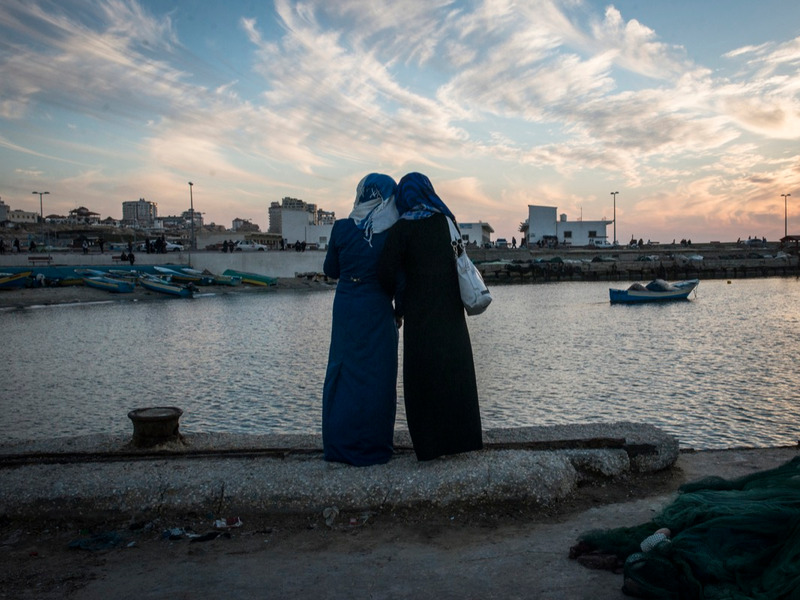 She said that media coverage of the Israel-Gaza conflict was only interested in portraying “an aggressive view of suffering.” While she does not deny that reality, she wanted to provide a chance for Palestinian women to tell their own story. “I wanted to give them an avenue to talk about what they were going through in their own voices,” she said. Courtesy of Monique JacquesHours after a ceasefire was declared between Hamas and Israel, the people of Gaza City begin to rebuild. Shops open and families go out to witness the damage incurred by the recent strikes. Courtesy of Monique JacquesDoaa in a friend’s bedroom. When girls are young in Gaza, they are free to do just about anything they want, according to Jaques, including play sports and talk to boys. But when they turn 16, family pressures force them to retreat to the home. “It’s a very confusing time for them,” she said. 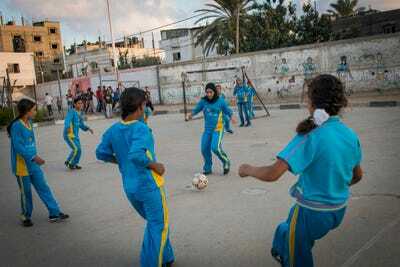 Courtesy of Monique JacquesGirls play football in the Northern Gaza town of Beit Lahiyah. 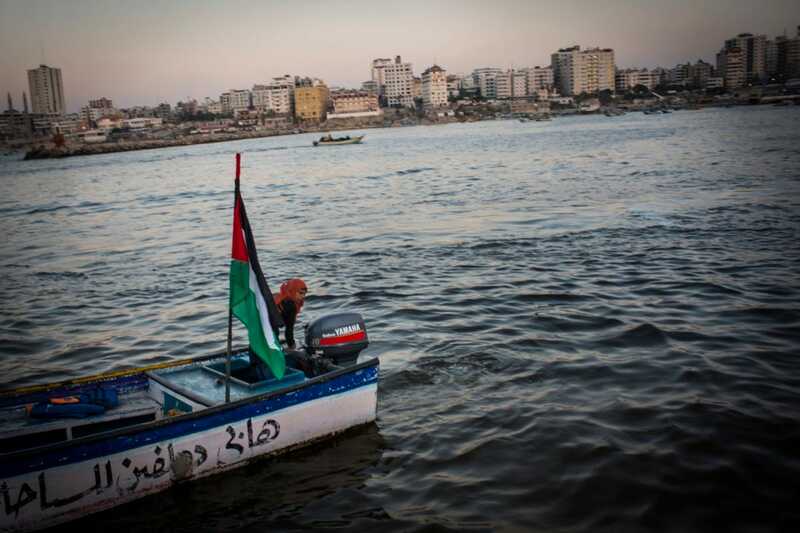 Courtesy of Monique JacquesFor many Gazans the sea is the only place they can be without being reminded of their isolation. Female Surfer, Sabah Abu Ghanem, 14, and her sister surf early in the morning outside of Gaza city. The sisters place first in many competitions inside the strip, but have never left the Gaza Strip to compete. The home is the main place where women hang out. 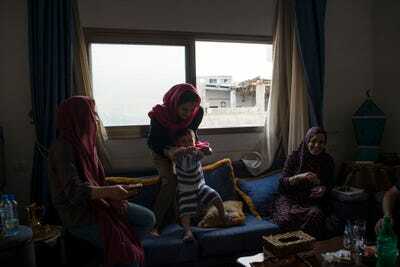 “Young girls and mothers will visit another’s home for tea and to catch up on the latest news. 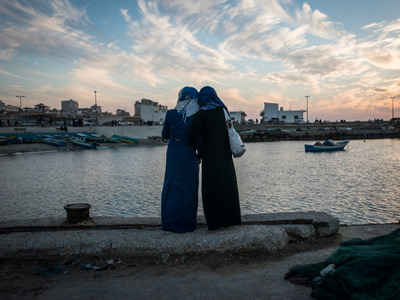 Thousands of stories and tales are told and passed down for generations in this fashion,” Jaques wrote in Gaza Girls. One of the women that Jaques spent the most time with was Yara. She began photographing her when she was 9 years old. 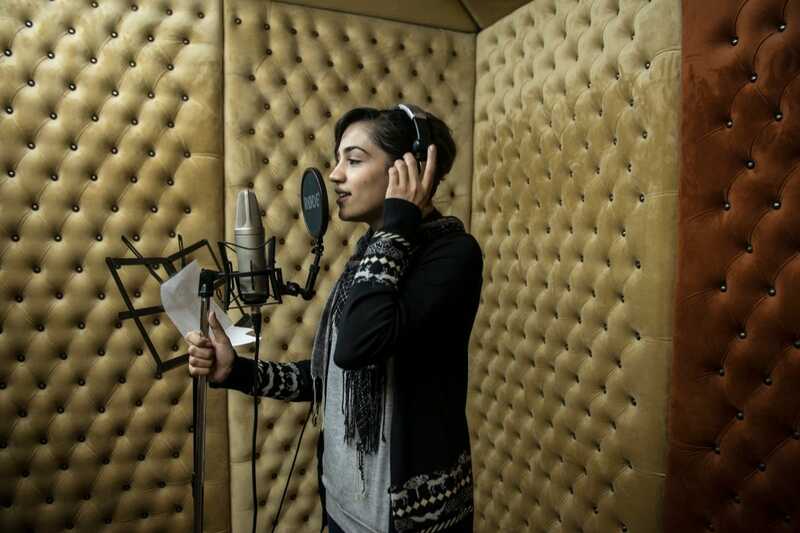 “I was able to leave [Gaza], but every time I came back she was a very different girl,” she said. Courtesy of Monique JacquesYara and her brother waiting for their father to return with schwarma as an evening treat after a recent conflict ended. Courtesy of Monique JacquesYara and her friends prepare a dance number during a blackout. 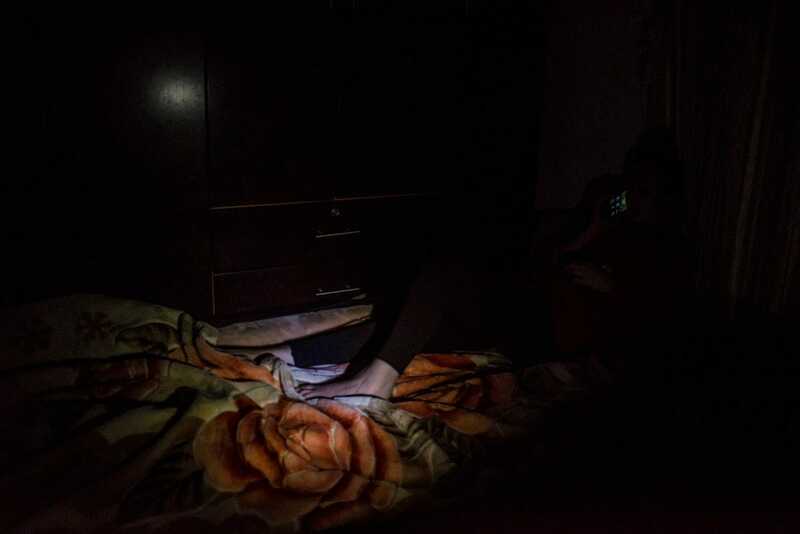 Fuel is scarce in Gaza and many families only receive six to eight hours of electricity a day. Jaques said she became a de-facto “therapist” for many of the women. Because she was a foreigner, the women were more comfortable telling her their secret desires, fears, and hopes. 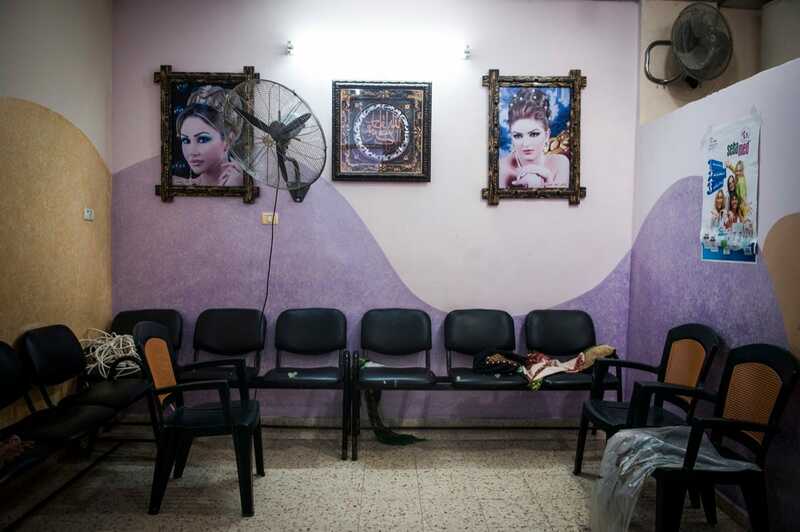 Courtesy of Monique JacquesAt a salon in Gaza City women come to get their hair, nails, and makeup done before weddings. In many families, a woman is not allowed to be seen without a veil by a man outside of her family, so beauty salons are for women only. 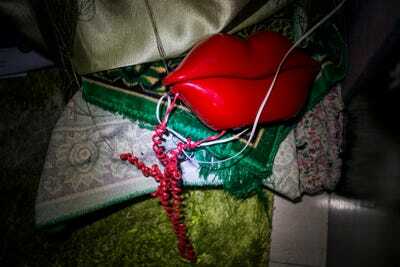 Courtesy of Monique JacquesA phone shaped like lips and a prayer rug sit in the corner during a blackout. Still, many of the women go on to become engineers, doctors, or other professionals thanks to the territory’s school system. 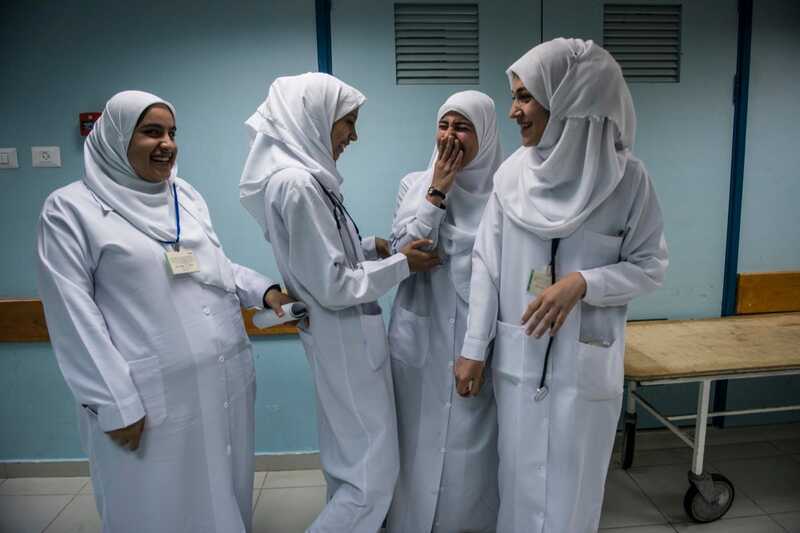 Courtesy of Monique JacquesMedical students from Islamic University on break in the Maternity Ward of Al-Shifa Hospital in Gaza. Most of the women Jaques befriended expressed wanting to leave Gaza, a feeling no doubt magnified because most never will. But most also wanted to return home. “To say to a young girl, you can’t do this, just makes you want to do it more … They want to know what Paris is like,” she said. 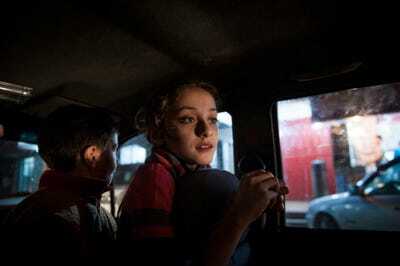 Courtesy of Monique JacquesMadleen Koolab takes Gazans out for rides on Thursday nights, a popular night for families. Madleen owns the boat and uses it to fish during the week. 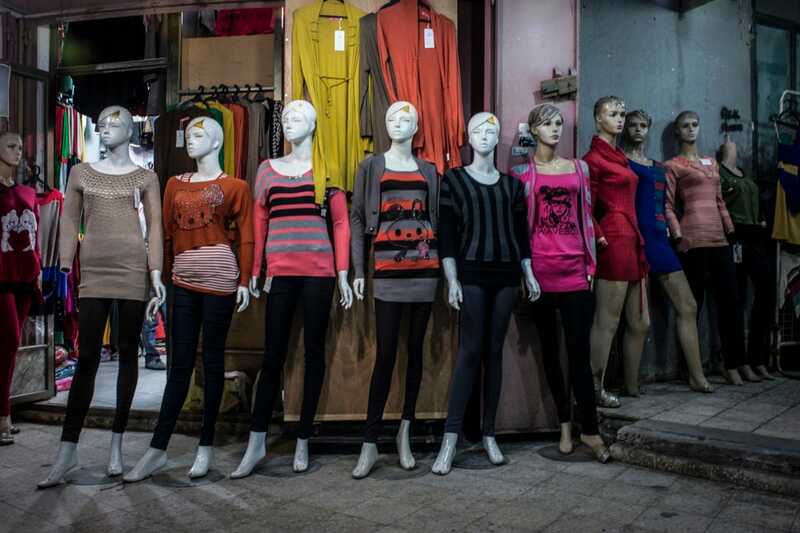 Courtesy of Monique JacquesManequins show off available clothing in a shop near the main street of Gaza. 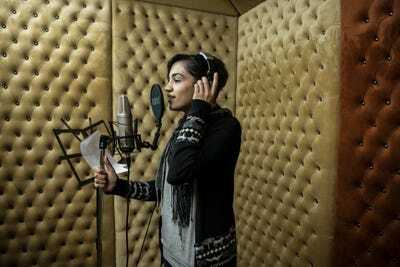 Courtesy of Monique JacquesHadeel Fawzy Abushar, 25, records a song in a studio in Gaza City. Courtesy of Monique JacquesNisreen Shawa, a worker for the Palestinian Medical Relief Foundation at the Hamza Bin Abd- el Muttalib School where they do art therapy and exercises with girls after the recent bombings. But of course, the reality of living in a place like Gaza is ever present. To critics who might say that Jaques is “whitewashing” the conflict in Gaza, she said that her goal is to add to the discussion, not deny the truth of the many other aspects of coverage out there. 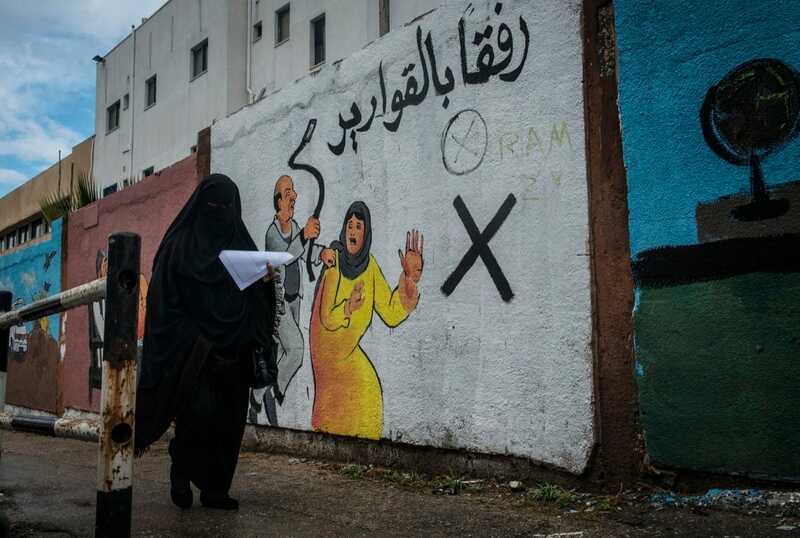 Courtesy of Monique JacquesA woman walks by a mural discouraging domestic violence outside of Al-Shifa hospital. According to a 2012 study, some 37% of women are subjected to domestic violence by their husbands.